'Pop Vulture' with the world. 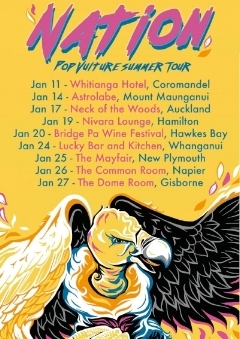 Also incredibly stoked to announce our 'Pop Vulture Summer Tour', covering 9 cities in Aotearoa's North Island over January 2018. Check our 'Shows / Tour' tab for all details. NATION are a four piece Soul/Pop band based in Wellington, New Zealand. They deliver a seamless blend of Soul, Pop Funk and Rock in a dynamite live performance, guaranteeing a good time to all who love to dance! 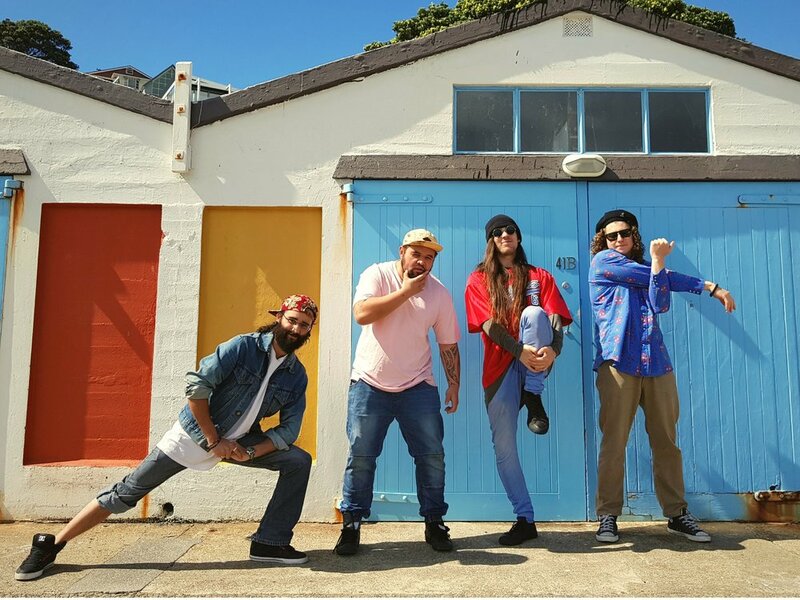 Featuring huge synths, intricate guitar lines, a funked up rhythm section, and soaring vocals, Nation have taken Wellington by storm with their unique and engaging sonic experience. Check out UPCOMING SHOWS to catch the band in action, or listen to the band's debut EP 'Nation'. Nation performing their tune 'Looking for Something' at Wellington's Botanical Gardens. Nation's grooving tune 'Never Be Enough' live from within the grapevines, with footage from their 2017 South Island tour. New Single 'Summer' from upcoming EP Pop Vulture. New Single 'Never Be Enough' from upcoming EP Pop Vulture. Listen to both of them here!